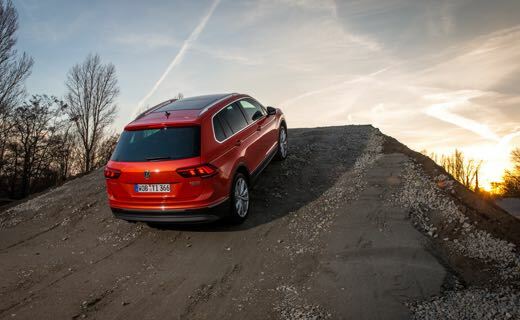 Rebooted and ready for adventure, the all-new Volkswagen Tiguan has arrived at Arnold Clark Volkswagen. 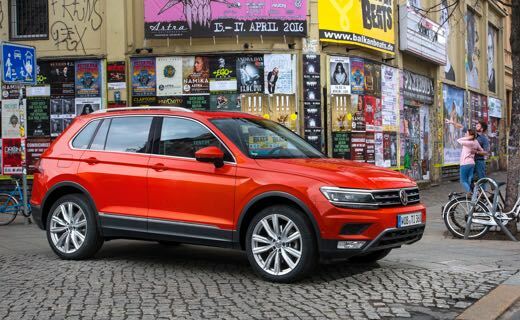 The second-generation Tiguan has evolved an already practical design to deliver an exceptional experience to those looking for a sophisticated and compact volkswagen SUV. 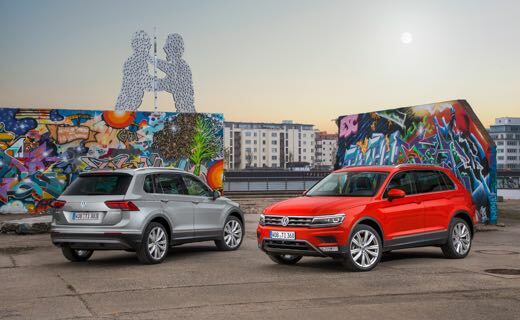 It’s powerful, chunky shape is unmistakeably Volkswagen but for all its angular elegance, there’s substance lurking beneath the style. Inside, you’ll find everything in its rightful place, Ergonomics, comfort and premium quality have been prioritised, and as such, you’ll find the layout intuitive and practical, with superb visibility. 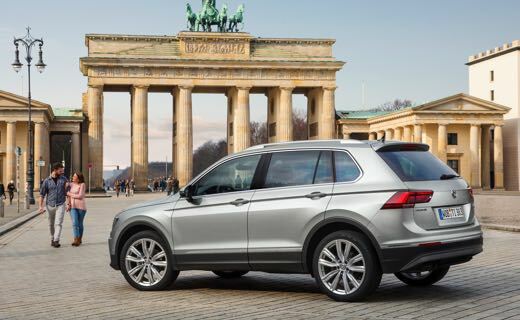 It’s in the details that the Tiguan truly excels. Take its brilliant LED headlights, capable of lighting the onward journey in even the murkiest of conditions. Connect your smartphone and GoPro, with a Security & Service option to keep you safe with direct connection to a Volkswagen emergency call centre. 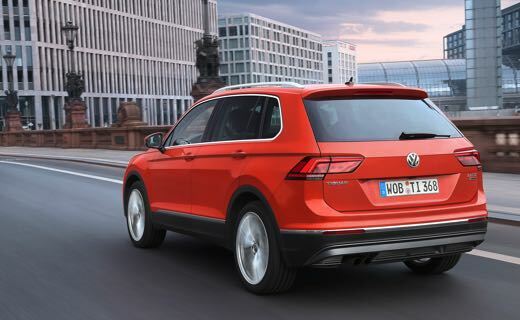 Explore the interior and you’ll discover plenty of space; the new Tiguan is longer, wider and lower than previous models. Available in four-wheel and front-wheel variants, opt for one of three diesel engines – the most economical of which is the 114bhp, 1.6-litre, which delivers 58.9mpg. Lane assist comes as standard and can determine whether the vehicle is inadvertently crossing a lane marking , from a speed of 40 mph. Once activated and within the limits of the system, it responds by actively intervening and keeping the vehicle in lane. Optional Area View gives you full 360 degree vision with 12 possible live views sent straight to your infotainment screen to give you the ultimate confidence in any situation, whether it's leaving the drive or exiting a tight parking space. Rev counter, speedometer, odometer – the cutting edge Active Info Display provides all the info you need at a glance and can even be customised to show only the things you like to see when travelling. 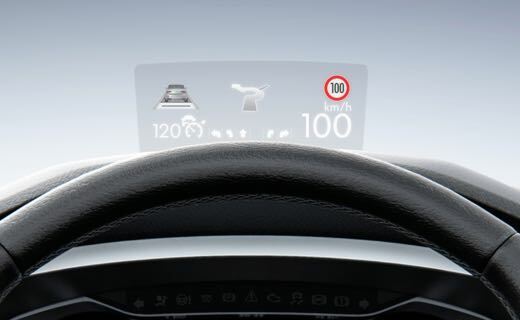 Information at a glance but your eyes on the road: at the touch of a button, the optional “head-up display” rises from the dashboard and puts information such as your speed, navigation data and traffic signs directly in your field of vision. The optional Car-Net Guide and Inform* services keep you informed round the clock. Traffic updates, news, nearby filling stations. Everything you need to stay connected on the move. Broaden your connected horizons. App Connect* offers a choice of three technologies to connect your smartphone to the infotainment system’s touchscreen. There many new things to discover - not only in the cockpit, but sometimes in the back too. To make sure you have everything under control there, still images from your GoPro® camera, in conjunction with “Car-Net Guide and Inform App Connect”, can be conveniently transmitted during the journey to the radio or navigation system display.